A practical guide to Linux Mint for the novice to the professional. 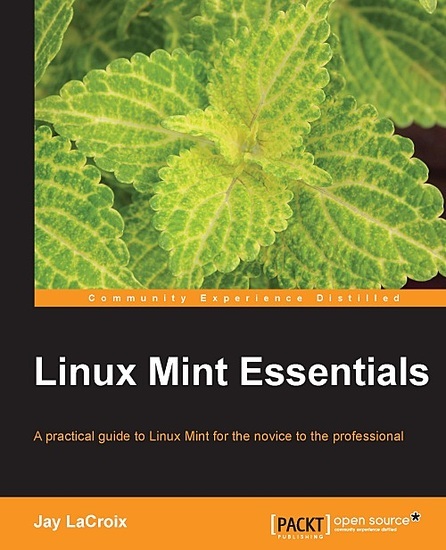 Linux Mint Essentials is an all-inclusive guide to Linux Mint, and will teach you everything you need to know in order to use a Linux Mint system. The book starts with the installation process and covers task-oriented topics such as browsing the Internet and installing software as well as shell commands. This guide walks the reader through installing and maintaining Linux Mint on a personal computer. Using task-oriented examples, readers will journey through understanding what sets Mint apart from the competition, how to maintain it, and how to use it. Topics covered in the book include getting acquainted with Cinnamon, navigating the filesystem, software management, an introduction to the terminal, and more! Click here to get the free eBook. Jay LaCroix is a technologist and open-source enthusiast, specializing in Linux. Jay currently works as a Senior Solutions Architect and holds a master’s degree in Information Systems Technology Management from Capella University. In addition, Jay also has a YouTube channel, available at LearnLinux.tv, where he posts instructional tutorial videos. He has also written Mastering Linux Network Administration, also published by Packt Publishing. This book is not free. You have to give them data about yourself. I don't want to be FORCED to sign up for whatever. You can keep your book.